While cataloging the 15th-century manuscript CFMM 152 (on which see also here), I was struck by the long rubric of this mēmrā attributed to Ephrem. Here with English glosses are the nouns in this rubric where monks may dwell. They can all be rocky areas, and there might be some semantic ambiguity and overlap with some of them. 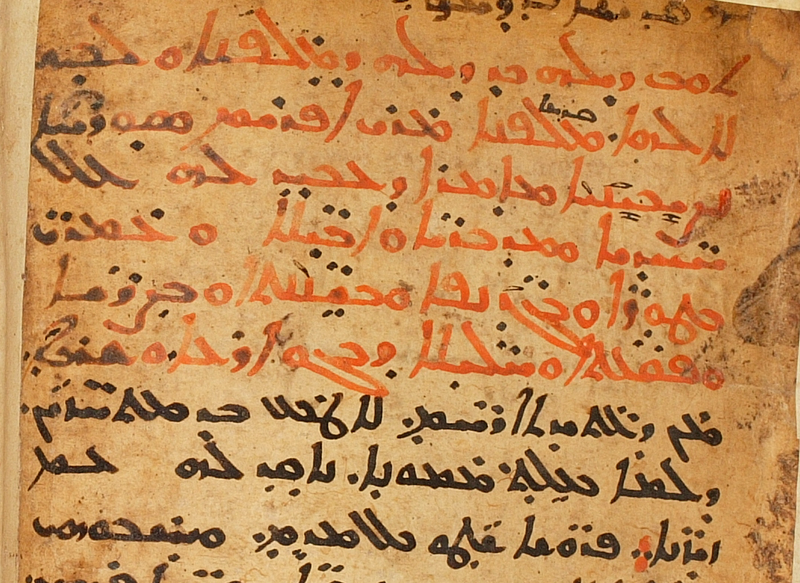 Brock’s list of incipits tells us that this mēmrā, possibly a genuine work of Ephrem, has been published by Beck in Sermones IV (CSCO 334-335 / Scr. Syr. 148-149, 1973), pp. 16-28. (Published earlier by Zingerle and Rahmani; there are two English translations, neither available to me at the moment.) The rubric in Beck’s ed. differs slightly from the one in this manuscript. 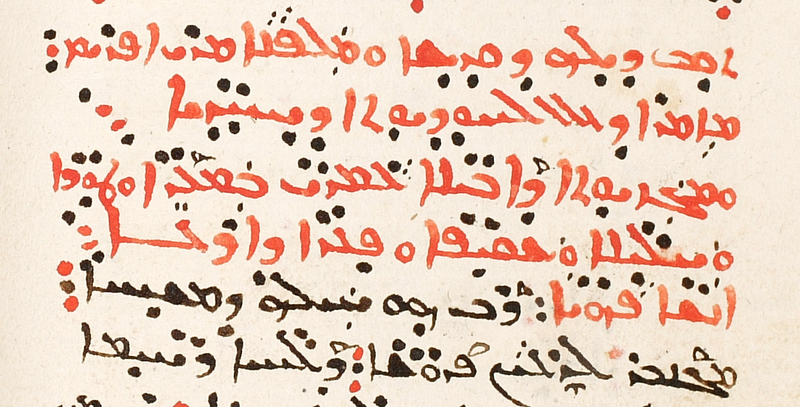 For comparison, here is another mēmrā attributed to Ephrem from a later manuscript, CFMM 157, p. 104. (see Beck, Sermones IV, pp. 1-16, for a published edition of the mēmrā). And so I leave you with these related Syriac terms, in case you wish to write a Syriac poem with events in rocky locales!